The snow has melted, the moss is green, and many birds have returned to nest in the trees! We are excited to once again have the Camping Cabin ready for guests. Although the nights are still cool, the wood stove keeps the cabin cozy inside. 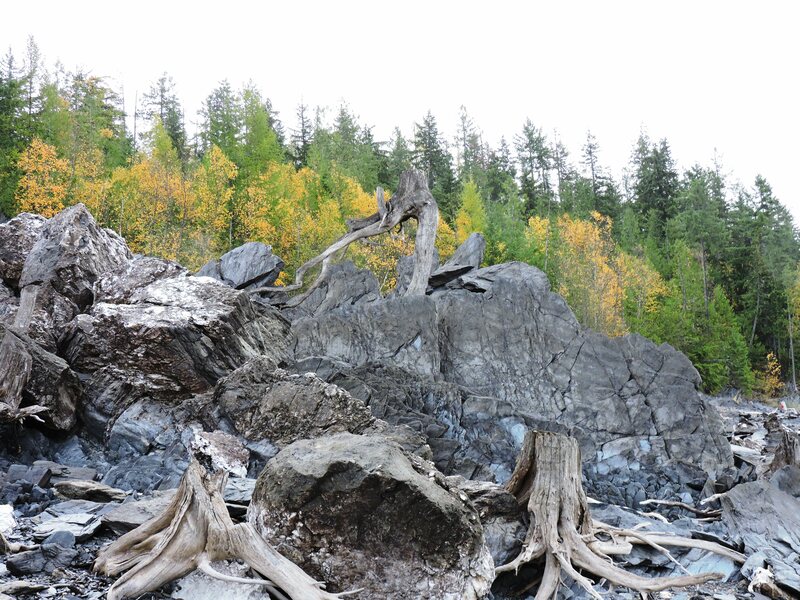 Did you know that all firewood is supplied for our cabin guests? If you are thinking it is time for a quiet, relaxed vacation, give us a call or use the contact form to inquire about certain dates. We look forward to meeting new and our repeat guests for another great season! The temperatures have dropped and the leaves are falling. There is snow on the surrounding mountains. It is now time to close up the Camping Cabin for another year. It has been a great summer – we met new guests, and hosted returning guests! Thanks to all our guests for choosing to stay at Serenity Views! The Studio Suite remains open year round. If you wish to book or inquire about certain dates, please contact us. After a winter with a record snowfall, we are enjoying the warmer temperatures and more sunshine! The Camping Cabin is now ready for guests to enjoy. For those cool nights, the wood stove keeps the cabin cozy. All firewood is provided. Come enjoy the peace and tranquility of the cabin! If you wish to check on availability for certain dates or if you have any questions about the cabin, contact us. Are you dreaming of spring and enjoying nature? We spotted these little crocuses peeking their heads out of the ground, so spring is close! There has been lots of snow this winter, and we are hoping it will soon disappear and we will be able to walk on the forest trails once again. If you are thinking of coming for a vacation, now is the time to book. The Studio Suite is open year-round. The Camping Cabin will be opening up as soon as the snow piles have melted and the temperatures are warmer, hopefully in April. Contact us if you would like to plan a getaway in either the Studio Suite or the Camping Cabin. With spring comes warmer temperatures, which means the Camping Cabin will soon be ready for use! We are now in the process of preparing it for the summer season, by connecting the water lines and making it cozy inside. The cabin will be ready for use by April 1st. If you would like to book certain dates, or if you have any questions about the cabin, don’t hesitate to contact us. We are looking forward to seeing new and past guests for both the Studio Suite (which is open year-round) and the Camping Cabin! The fall season is beautiful at Serenity Views. After a busy summer, there is a sense of peacefulness in the air. 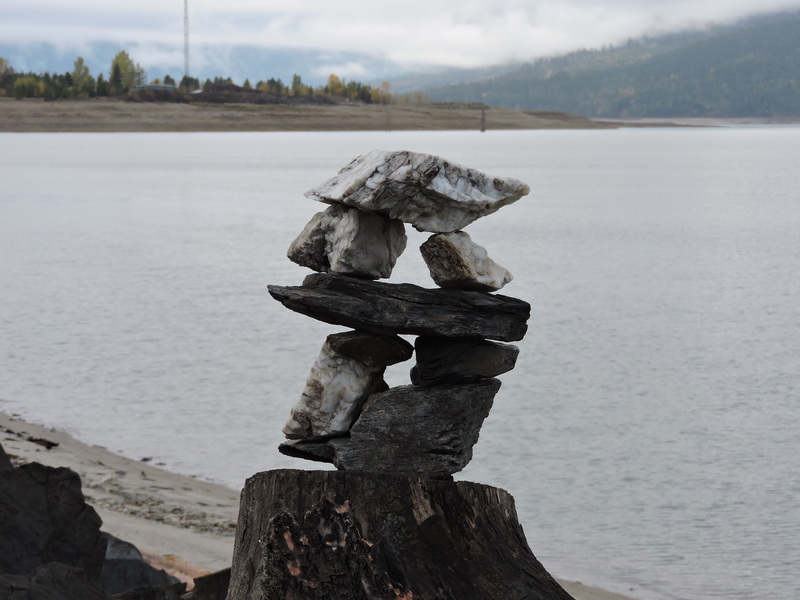 A walk along the lakeshore reveals interesting rock structures – both natural and manmade! The trees have many colours, and the larch trees will soon show their golden needles. Each Saturday from May to October, there is a Farmer’s Market, where you can find all sorts of crafts, jewellery, baking, plants, produce and even music. Down the road from the market, visit Home Grown Market and Juice Bar which features organic produce. There are several other interesting stores in Nakusp, mostly along the main street (Broadway), but taking the side streets will bring you to a chocolate shop, an art gallery, and other unique shops. 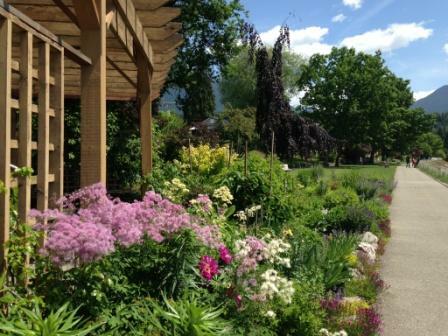 A trip to town must include a walk along the waterfront walkway where you can see all sorts of flowers in bloom. Grab a coffee from one of the coffee shops and enjoy the gorgeous views! If you feel like taking a dip in the Arrow Lake, there is a beautiful sandy, public beach at the west end of the waterfront walkway. The Nakusp Visitor Centre is also a great place to visit while in town, if you need maps and directions, and other ideas for activities! Birds – Large and Small! Nakusp is home to many types of birds. 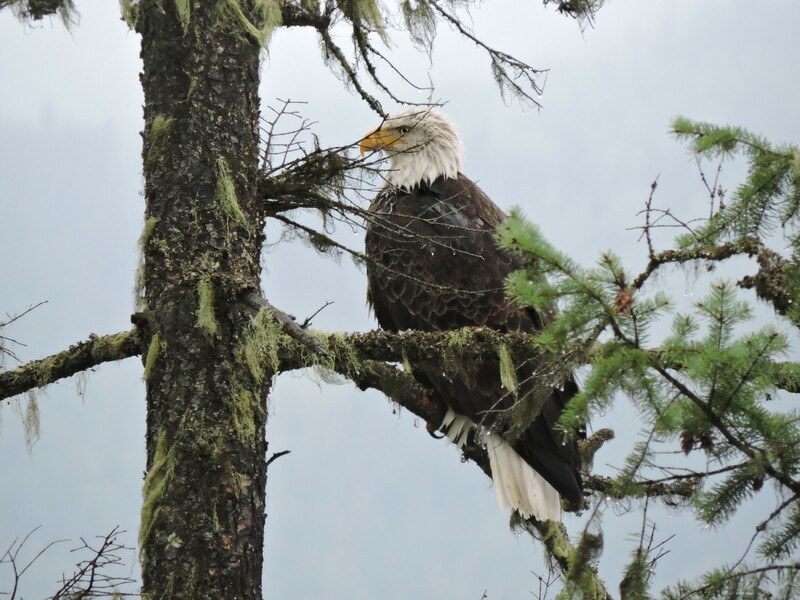 We are fortunate at Serenity Views to be able to observe large birds such as this Bald Eagle, as well as Ospreys and Golden Eagles, as they fly above the Arrow Lakes. Now that it is springtime, we also hear many different songbirds in the forest. Within the last week, we have also seen the return of the beautiful hummingbirds! For birdwatchers or simply lovers of nature, Serenity Views is the perfect place to visit! Looking for a cabin in the woods? Spruce up your camping experience! Our Camping Cabin is now open for the season. Temperatures may still be a bit cool in the evenings, but the wood stove keeps the cabin very cozy. All firewood is supplied. 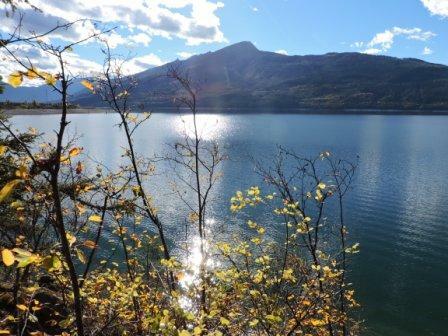 From the pathway by the cabin, take a short hike through the forest and down to the shores of the Arrow Lake, where you can have an undisturbed nature walk. If you would like to stay in the rustic cabin, contact us for availability or any other details. Happy Spring! As the days lengthen and begin to get warmer, we are looking forward to another season of welcoming guests to Serenity Views! The Studio Suite has been open all winter, but the Camping Cabin was closed. The cabin will be once again be available for guests to use on March 30th. We had a special visitor this week – a magnificent Golden Eagle! He sat in a tree on our property and surveyed the lake for quite awhile. Our location on the Arrow Lake is ideal for viewing many types of wildlife and birds. Hopefully our guests will be lucky enough to spot some during their stay at Serenity Views!